CFRIP: Open the chainflex jacket quickly with the "zipper"
The CFRIP speed tool from igus strips chainflex control and motor cables twice as fast. The tearproof igus thread, introduced under the name of CFRIP for fast stripping of chainflex cables, is now integrated into 230 chainflex cable types. The CFRIP stripping aid has been added to all control cable series with PVC jackets and in motor cable families. 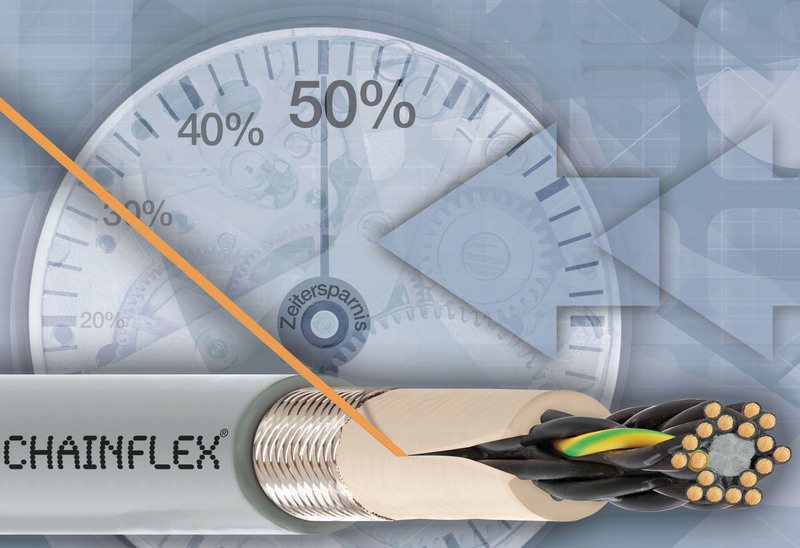 Via the unique CFRIP principle, chainflex cables can be stripped quickly and safely in large lengths without damaging cores. The CFRIP stripping cord, developed by igus, is simple and effective: Like a zipper it opens by simply pulling on the CFRIP tearing thread within the jacket to the desired length. Afterwards the appropriate cores can be taken out of the jacket with ease. With it, installers safe up to 50 percent of the usual required time for stripping. Apart from that, specific stripping tools are no longer required. The clever design of the tearing thread that is integrated into the cable prevents damaging of the stranded element when the chainflex cable needs to be stripped. Along with PVC control cables chainflex CF5, tearing thread in the outer jacket and the shielded version chainflex CF6, tearing thread in the inner jacket - now the control cable families CF5, CF6, CF130 and CF140 as well as the complete multi-core motor cable families are equipped with the CFRIP thread. 230 chainflex cable types with integrated CFRIP tool are currently available. More cable series with integrated CFRIP are in development.